Finding the perfect place to sleepover while on summer vacation is just as important as choosing the destination. Now that you’re set on visiting LBI, it’s time to explore your lodging options. See how affordable it is to stay at Long Beach Island motels on the oceanfront. There’s plenty to do on LBI between the ocean and the bay. Whether you book a motel on the oceanfront or the bayside, you’ll have a great view from your window. You will find LBI motels along the Atlantic Ocean, and others along the western side where the island meets the bay. LBI is a narrow shape, which means that you won’t be too far from the great LBI beaches, even if you stay somewhere in the middle of the island. Long Beach Island motels on the oceanfront are so convenient! Staying at an oceanfront motel gives you easy access to the beach. This is a good deal for surfers and sunbathers, because it’s easy to get to and from your motel room. 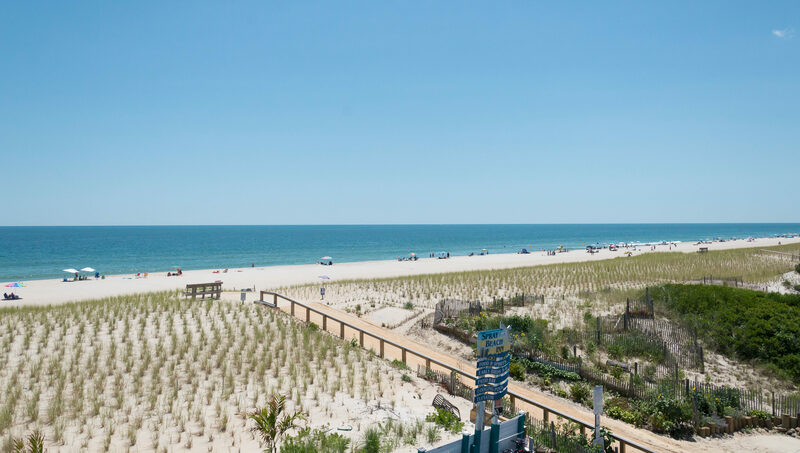 LBI beaches provide a great atmosphere for families, and there’s no better place to sleepover than a Long Beach Island motel on the oceanfront. Downtown LBI motels like Drifting Sands keep you within walking distance of the shops and restaurants. Beach Haven and Ship Bottom offer great entertainment options like theatre, art studios, and amusement park rides. There is also a waterpark right at the beach! Spray Beach Hotel offers great food and atmosphere at their beachfront pavilion where guests can enjoy live music most nights during the summer. Besides, if you book an LBI motel with a pool, you can enjoy fun in the sun anytime, weather permitting. Bayside motels on LBI give you access to a different type of beach environment. Still sandy and serene, the bay water is calmer than the ocean waves on the other side of the island. The bay is a great place for watersports and fishing, and there are parks and playgrounds up and down that side of the island. 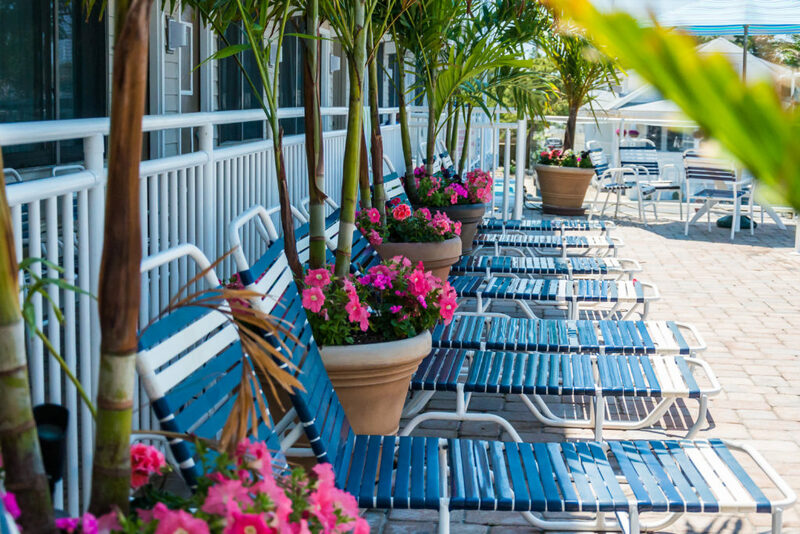 You’d be surprised how affordable it is to stay at bayside LBI motels like Buccaneer Motel. You might stay longer than you planned! Most bayside motels in Long Beach Island are nearby boating docks and places to go fishing and crabbing. You can rent a charter fishing boat or using your own. Watersports like SUP (stand-up paddle boarding) and waterskiing are popular activities in the summer. If you plan to spend a lot of time doing these types of activities, you should book a room at a nearby motel. You may be wondering what the difference is between a hotel and a motel, and wondering which is best for your vacation. There are some pros and cons to be aware of before you make a decision. LBI hotels are more expensive than the motels, but for the extra expense you tend to get a more luxurious space and better amenities. The better LBI hotels such as Daddy O Hotel and Bar Restaurant and the Sand Castle are gorgeous, but these hotels are located in the northern part of the island and are marketed for adults only. You can find really nice hotels down near the tourist attractions too, such as Sea Shell Resort and Engleside Inn, but these hotels may not fit into your family’s vacation budget. For the best of both worlds, there is Spray Beach Hotel where guests are close to the attractions but tucked away into a noise-buffering alcove directly on the beachfront. If you want to stay downtown without spending a ton of money, the Long Beach Island motels on the oceanfront will give you the best of both worlds. Long Beach Island motels are affordable in price but you won’t get the same level of luxury as the LBI hotels offer. Usually, a motel doesn’t have a nice pool or a beautiful view, and the rooms are generally mediocre. Something else to consider is that motel rooms always have a door leading outside rather than opening into a hallway. This offers less security than a hotel would, but it’s also less headache to get in and out of your room. The sooner you can get onto the beach during your vacation, the happier you will feel! If you like the cost of an LBI motel room but you don’t want to sacrifice great amenities and convenient location, go with Mariner Inn. This motel has affordable rates, clean rooms, and a nice pool. Best of all, guests at the Mariner Inn are permitted to enjoy all of the amenities at Spray Beach Hotel just down the road. This sister hotel has an onsite restaurant and dining room, beach pavilion and tiki bar, pool and hot tub, and live entertainment every weekend. There’s no better way to enjoy the hotel life while actually paying for motel accommodations. There are many affordable lodging options available to you this summer. Here is a short list of the best motels in Long Beach Island. Visit their websites to see their rates and amenities before booking a room for your next trip. It’s worth doing some research to make sure you’re getting the best deal on a great room in a convenient location. If you’re planning an LBI vacation on a budget, you’ll love the low rates that Long Beach Island motels are charging. Best of all, the motels on the oceanfront and bayside will give you a great view of the water and convenient access to the beaches. You can actually plan a getaway for your family with everything included for less than 300 bucks! Book a room at one of the Long Beach Island motels on the oceanfront and you’ll get more luxury for less money this summer. LBI Hotel Guide – Free Printable Download!